DELAWARE, Ohio – Mark Tokola, vice president of the Korea Economic Institute of America in Washington, D.C., will discuss “The Prospect of North Korea’s Denuclearization” April 4 at Ohio Wesleyan University. SEOUL — The Demilitarized Zone that’s divided North Korea from South Korea since the Korean War evokes images of the Berlin Wall that divided East Berlin from West Berlin from 1961 to 1991, but it shows no signs of going down after the second summit between President Donald Trump and North Korean leader Kim Jong Un. Oblivious to the symbolism of the double barbed-wire barriers that stretch 250 kilometers across the Korean peninsula, Kim is determined to suppress rebellious instincts that might inspire revolt against his rule. That was presumably a reference to the four-kilometer-wide DMZ on each side of which North and South Korean forces stare from guard posts that Kim Jong Un and South Korea’s President Moon Jae-in agreed in their last summit in Pyongyang in September to tear down. So far only 10 of 160 guard posts, 100 on the North Korean, 60 on the South Korean side of the “military demarcation line” that bisects the zone, are gone. Those who have worked in North Korea or examined what’s going on get the impression that North Koreans basically have no idea how to respond to reports that South Koreans are leading better lives. Nor do they see much chance of really penetrating the barriers despite exchanges engendered by the summits. No one doubts that conditions in North Korea are far more severe than they ever were in East Germany before the fall of its communist regime or the downfall of communist rule in the former Soviet Union and other eastern European countries in 1989 and 1990. It’s a tribute to the power of the Kim dynasty that the failure of communism in the old Soviet bloc was a deep and dark secret to his people, who heard not a word about it on the state broadcast and print media. Kim Jong Un’s stubborn opposition to softening of tensions that might lead to removal of the demilitarized zone helps explain why life in the North is hardly improving despite his stated goal of focusing on the economy. Revolt is not an option. As for bringing about change in the North, that’s a non-starter. People are “too worried about consequences,” said Collins, who has written three revelatory books on life there. “The surveillance — political, ideological and physical — by the Korean Workers’ Party and the internal security services is far too great.” Collins is sure George Orwell, the British author of “Animal Farm” and “1984,” “never imagined this.” The dictatorship “is so pervasive” — “outside the elite, they know nothing” of the fate of communist regimes in eastern Europe. Ken Eom, who defected from North Korea 10 years ago, vividly recalls his ordeal. “My mother and brother had already escaped,” said Eom, who studied English in the “Teach North Korean Refugees” program established in Seoul by a Harvard-trained educator, Casey Lartigue. Though Eom rose to master sergeant in the army, he was “not accepted as a party member” — prerequisite to success — probably because his loved ones had defected. A broker, for $4,000, got him on the way to South Korea. “Our people do not believe in the regime,” Eom told me. 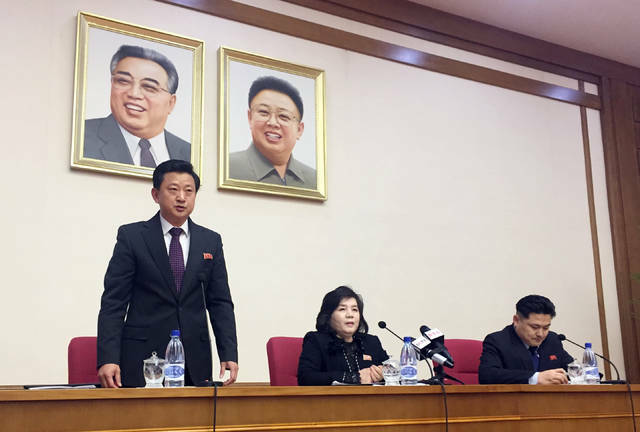 “The public distribution system outside Pyongyang is completely closed. People make money through the black market.” Kim Jong Un may be “in more danger,” he believes, but citizens “could not start a movement” against him. In that atmosphere, nobody cares about nuclear warheads and missiles — not a concern for a hungry people battling to live another day. Opinion: Trump-Kim Summit — Was It a Con Game? 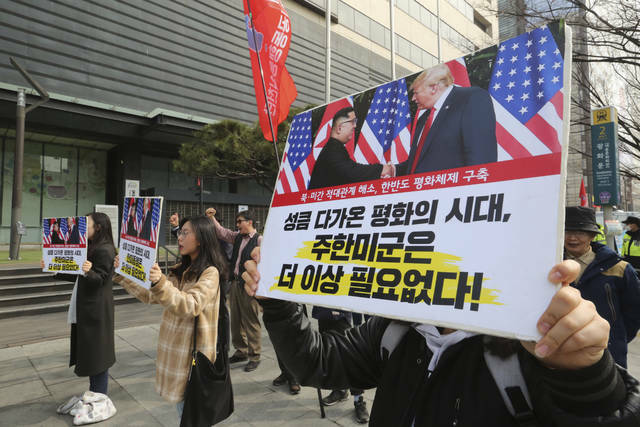 SEOUL — No matter what he does or says, Donald Trump is playing a losing game with his critics on North Korea and probably on just about everything else. If he had joined Kim Jong-un in signing a piece of paper agreeing to give up sanctions while Kim promised to shut down the main nuclear complex at Yongbyon, a chorus of Trump-haters would have hissed and booed him down. Those same people, of course, blamed him for “failure” when he rejected Kim’s phony offer, shook hands and walked out at the Metropole Hotel in Hanoi. Aside from hard-core columnists and panelists and pundits who make a living blasting Trump from their perches on editorial pages and TV shows, a slew of experts, scholars and retired diplomats also joined in the fun. Some of them hate Trump less than others. A few are quite measured in their criticism. But didn’t Sung Kim, once the State Department envoy on North Korea and now the U.S. ambassador to the Philippines, spend hours and hours with Choe Sun-hui, North Korea’s vice foreign minister, before Trump met Kim in Singapore last June? Sung Kim knows the ins and outs of this game as well as anybody. He got nowhere with Choe. That’s why the paper that Trump and Kim Jong-un signed in Singapore contained the empty promise of “complete denuclearization,” which might sound pretty definitive but meant nothing. In fact, Biegun could have done no better, no worse, than Sung Kim for one basic reason. Whatever either of them said, Kim Jong-un was not and is not about to relent on his precious nuclear program. Just this week, the silliness of his offer to “close” the Yongbyon complex became clear when South Korean intelligence analysts said the North Koreans haven’t been using it for fabricating warheads since last year. Instead, they make them from highly enriched uranium at sites elsewhere. Kim’s refusal to shut down those sites torpedoed the summit. No wonder he was willing to close Yongbyon. At the International Media Center in Hanoi, we sensed the bust-up of the summit as Trump and Kim shook hands well before the game was to have ended. About an hour later, when he and Kim were to have had a farewell lunch, the president held forth at the American team’s headquarters. That was a 40-minute ride through swarms of motorcycles from the media center, where I was glued to a wide-screen TV along with hundreds of others. We already knew there would be no “Hanoi Declaration” — an immense relief since any such statement would only show the vacuity of the performance. Much to his annoyance, Trump was upstaged hours earlier by convicted attorney Michael Cohen’s testimony before a congressional committee in Washington. I saw the back-and-forth live on CNN and BBC in my hotel room. Presumably Trump was watching too. There was Cohen denouncing his former client as a “con man.” You had to wonder if the president’s walkout was all in some con game. The outcome was anti-climactic, a one-day story. Too bad for the Trump-haters, who would have loved analyzing a final statement as evidence he’d been conned. Sadly, they had to settle for bashing Trump for his “failure” to get anything. Actually, as Cohen had wanted, he had bigger things to worry about as he left for “wonderful Washington, D.C.” — his final words before walking out of the news conference. Disclosure statement: Hadar Aviram does not work for, consult, own shares in or receive funding from any company or organization that would benefit from this article, and has disclosed no relevant affiliations beyond their academic appointment. California’s 737 death row inmates constitute more than a quarter of the national number. Keeping them on death row costs US $150 million a year more than sentencing them to life without parole.